On Cambrian Avenue, in eastern Piedmont, are some striking examples of the concrete worker’s artisanship. 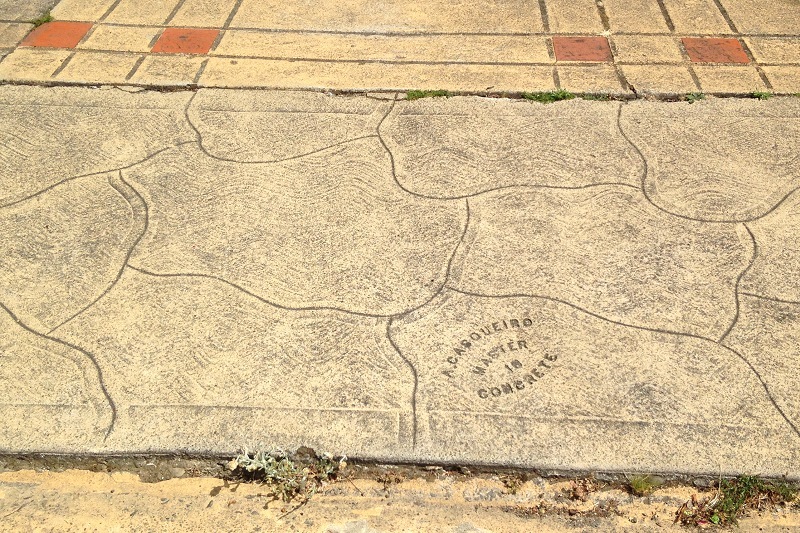 This whole end of town is paved with the same pattern of grooves and plaques, apparently emplaced by the J. H. Fitzmaurice company. Where Cambrian and Sandringham Road meet is this elaborate custom corner. And nearby is a fine example of freeform finish work by August Casqueiro, marked with his “concrete master” stamp. In all my years of documenting the maker’s marks, I neglected this aspect of sidewalk making. Time to collect a gallery, and maybe learn the names of these features. Workers made the golden sidewalks, curbs and gutters by laying down a layer of colored slip on top of standard concrete, and then doing the fancy scoring and tiling. 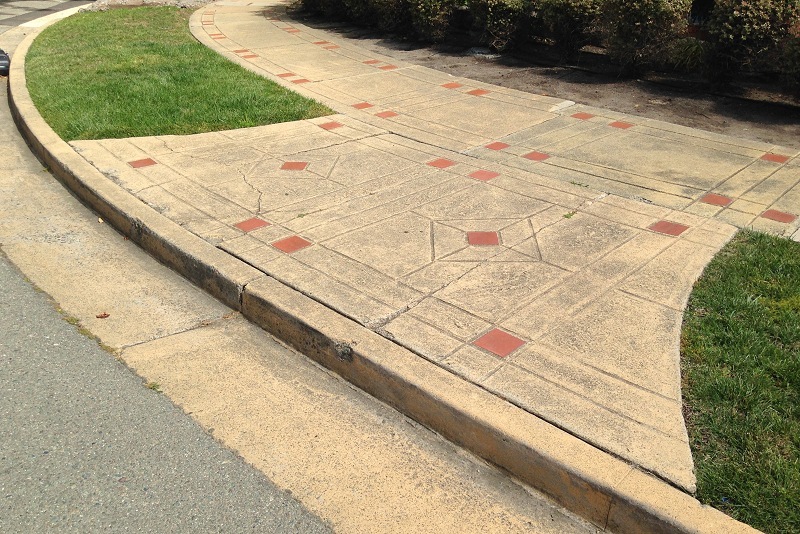 Red sidewalks are made the same way. The town of Piedmont diligently bevels off the sidewalks wherever the concrete becomes a tripping hazard, and that exposes the inside details. This entry was posted on 18 August 2017 at 8:03 am and is filed under Streetscape. You can follow any responses to this entry through the RSS 2.0 feed. You can skip to the end and leave a response. Pinging is currently not allowed.